Some how I ended up with left overs and was able to enjoy them in a salad. Gggggiiiiiirrrrrrrrllllllllla. Why don’t I use capers more? 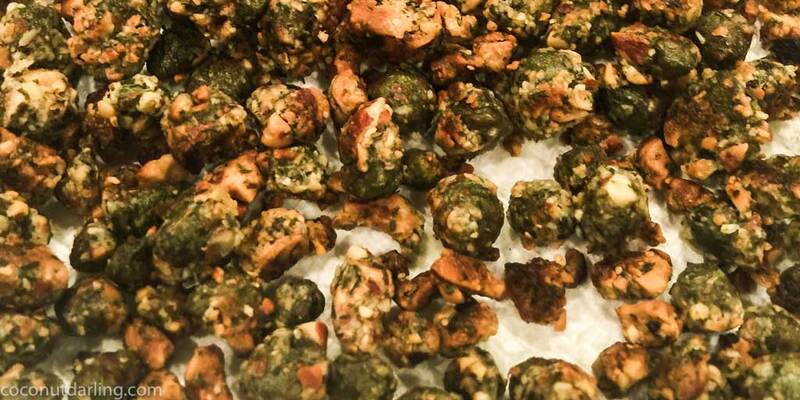 Especially fried capers!! What the heck are capers anyway!? All very good ideas…but in actuality they are unripened flower buds. How sweet!! These little guys are hand picked (hence the price tag) and then brined or dried to enhance the lemony, olive-y flavor. They come in nonpareil (small), medium and large. The small guys are more rare (hence the price tag). However, the larger ones have the best flavor (although they are a different texture – softer due to the flower being closer to blooming). I’m sure you’re dying to know…are they good for me!? You get a lot of punch for little cost. In other words they add lots of flavor and not lots of calories. They are a great way to add fiber to your diet. Bye, bye tummy troubles! Sodium is good for you, but only in certain doses. Don’t over do it with these guys! Of course they contain lots of sodium – they sit in a briney vinegar solution. If you have high blood pressure, please avoid. I know you’ll want this extra boost of Vitamin K. It promotes bone growth for healthy bones, helps coagulate the blood to prevent over bleeding and aids in cell growth. In addition capers contain Vitamin A and niacin. 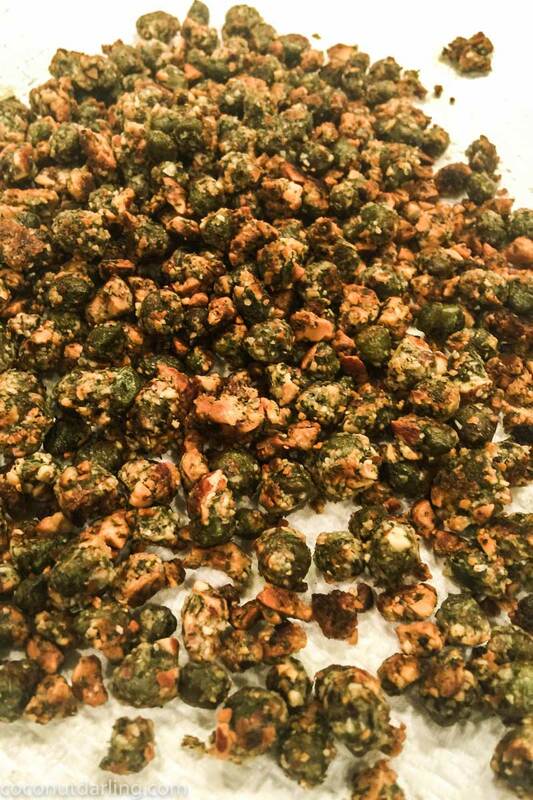 Caper buds will also give you a tiny boost of iron. Iron aids in getting the red blood cells enough oxygen to carry to the tissues throughout our body. It also helps our cells make enough energy to keep us going throughout the day. 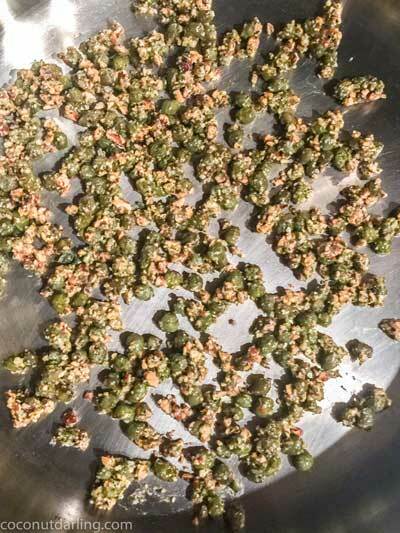 Among iron, capers also have minerals such as calcium and copper. Capers are high in flavonoid compounds, ruin and quercetin. Quercetin is an analgesic, anti-inflammatory, anti-bacterial, and anti-carcinogenic. Heat a medium sized skillet (and oil) over med-high heat. Add drained capers to the dry ingredients. Give a good stir. Distribute in an even layer in the hot pan. Reduce the heat just slightly and sauté undisturbed for 2-3 minutes. You will see the capers beginning to brown. Give the pan a good shake and sauté for another 1-2 minutes. Shake occasionally until all sides are browned. Remove to a paper towel to cool. When capers are used to flavor meat, they prevent certain oxidation that typically occurs. This process also protects us during the digestion of the meat. We are protected from the byproducts of the oils used to cook the meat and the byproducts produced from digesting the meat! I should always flavor my meats with caper oil! !